Residents stunned as hundreds of fish fall out of the sky over remote Australian desert town. The residents of a small town in Australia are speechless because they witnessed something not everybody gets to see every day; they saw hundreds of fish falling right from the sky. How would you react if it rained fish? Lajamanu’s 650 residents witnessed hundreds of fish falling from the sky; this was noticed by Christine Balmer as well, who is a local individual. She said the strange weather awestruck each and every person witnessing the scene. She also stated that the fish fell in hundreds all over the place. The locals were so surprised that for a moment they couldn’t think of doing anything else, but picking them up. Balmer herself collected a few fish and put them in a basket, after she saw them falling from the sky. 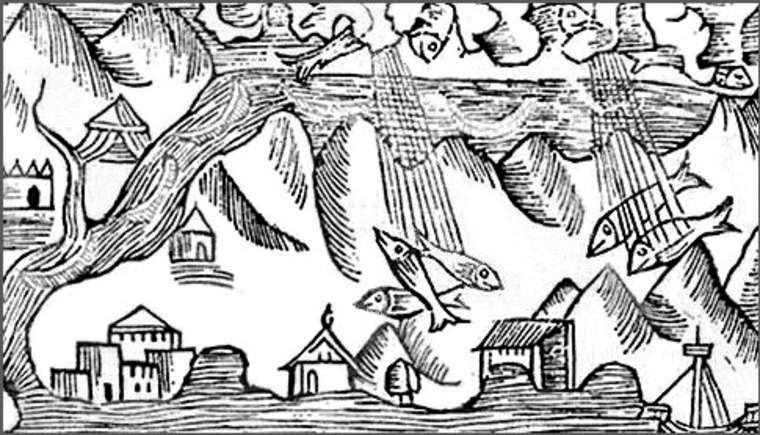 The fish were all alive when they fell on the ground, which means that they were alive even when they were in the sky. According to the Meterologists, the incident may have been a result of a tornado, which sucked the water and fish from the rivers and dropped them at different places. People thanked the universe while gathering fresh fish.